The man in the cross exhales his last breath and three days of mourning and silence follow. But before that, everything is color and celebration. 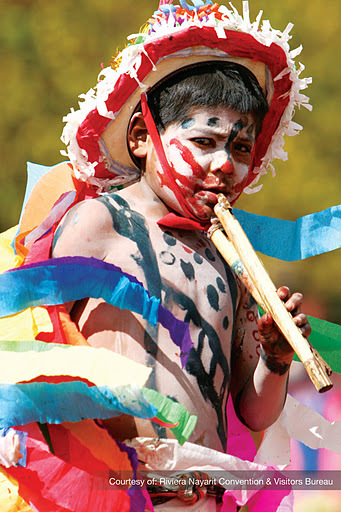 Holy Week is a time to celebrate because Riviera Nayarit lives culture with intensity. 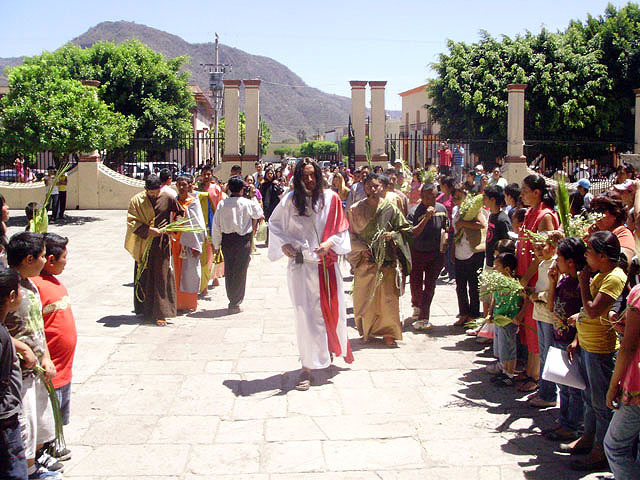 Judea en Vivo, a representation made every year on Holy Thursday of the Passion and Death of Christ finds two locations in our destination that are particularly recognized for their rendering of this tradition. On Holy Thursday Jala is expecting to receive thousands of visitors, who will enjoy a display in which the whole town is devoted to interpret shepherds, roman soldiers, virgins and saints, with the unique charm and the ambience that can only be achieved through the love for this festivity. The aroma of tamales, pipian, bread soup, capirotada, pozole, tostadas and other delicacies of regional gastronomy complement this celebration, and the streets of Jala offer these flavors along the procession. Judea en Vivo at Jala is not only one of the most beautiful in the country, but also one of the oldest. Taking place during the Holy Week, it begins on Holy Thursday with the first scene at an outdoor theater known as “The Council” outside the main church. Subsequently, they represent other episodes from the last days of Jesus, such as the Last Supper, the Washing of the Feet, the Curse of the Wandering Jew, the meeting with Mary, the Garden’s Prayer, the Devil's Temptation, the arrest of Jesus and Jesus against Annas. On Good Friday, starting at eight o'clock, a number of people interpreting Jews chase children in the public square and the main streets of town. The procession of the prisoner takes place at noon, and starting at four in the afternoon, the open air theater begins with the council with Caiaphas, Herod’s council, Pilate’s council, the sentencing of Jesus, the three falls, the crucifixion, and culminating at nine o'clock at night with the funeral procession of the saint. 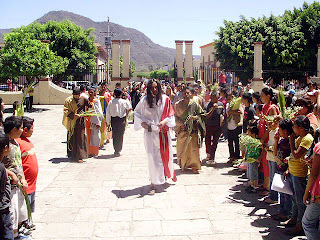 Contrarily, the Judea Cora that takes place in the region of Jesus Maria del Nayar is one of the less known traditions of the Holy Week in Mexico. This is, however, one of the most impressive events due to their originality and by the way that this ethnic group has achieved religious syncretism of a celebration that was brought to this country by Spaniards and their own cultural manifestations.